M. Dambreville was born in Port-au-Prince, Haiti on December 17, 1934. After finishing secondary school he became a writer and radio journalist, while associating mainly with artists and literary people. 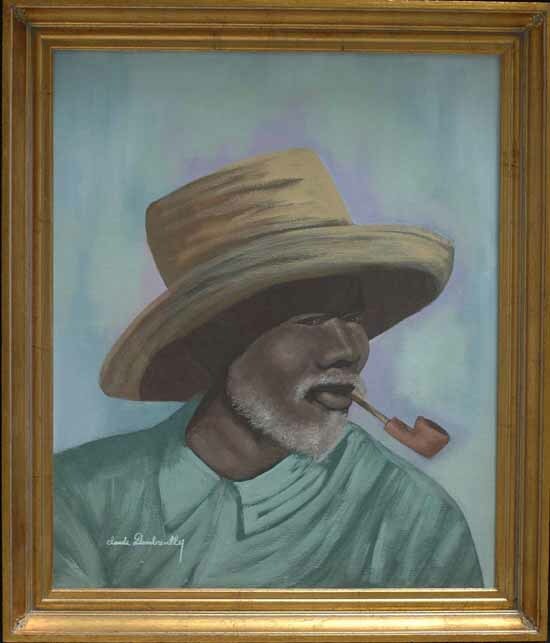 He is married to the daughter of the late and great Haitian masterpainter Petion Savain. At age 34, he decided to learn to paint and joined the Centre d'Art. He continued to write and in 1983 was awarded the Prix Deschamps, Haiti's prestigious literary award for his book, "Un Gout de Fiel", A Taste of Bile, ( A Bitter Taste?). He has published numerous books and articles since then, while also managing to maintain a presence as one of Haiti's most prominent painters. There are few artists in Haiti who have a style so distinct as to be recognizable from 50 yards; Dambreville is one of them. 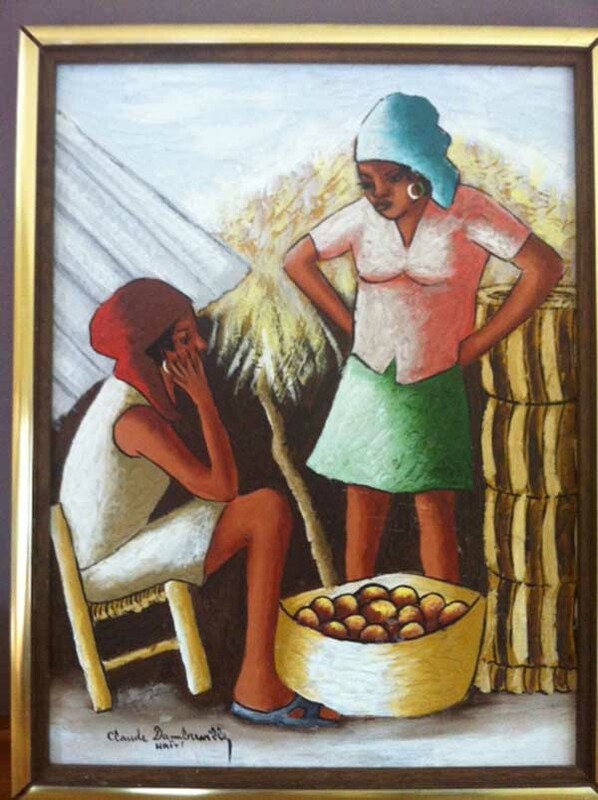 His paintings of market women are accurate representaions of the Madame Sarahs that are everywhere in Haiti. To learn much more about Claude Dambreville, and to see more art. $700 framed in simple Haitian frame. 1973? 1974? 1994. $1000 In wide gold frame.